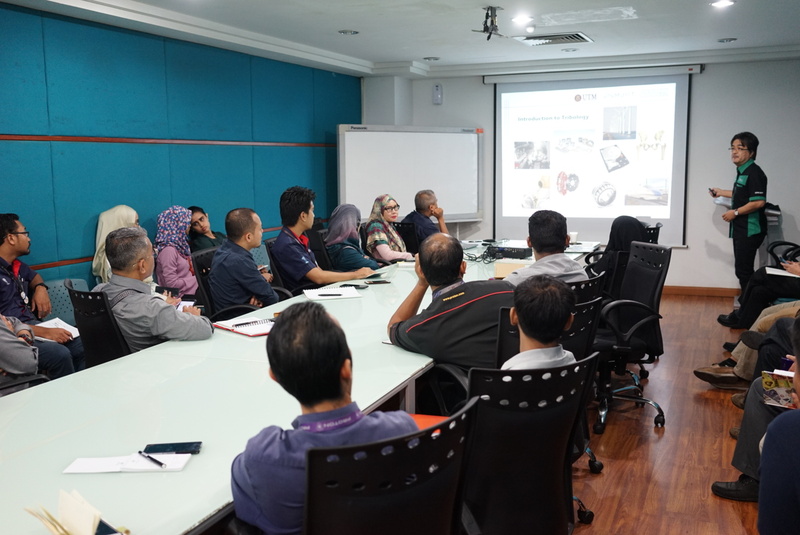 On 22 February 2019, Prof. Dr. Kanao Fukuda was invited to give a lecture titled “Introduction to Tribology and How It Contributes to Industries” at PROTON Research & Development, Shah Alam. The lecture was assisted by the PROTON’s Head of Advanced Engineering, Ir. 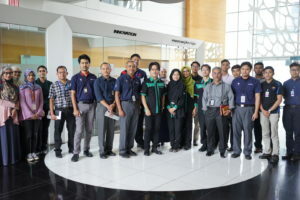 Azmi bin Osman and was attended by PROTON’S engineers. 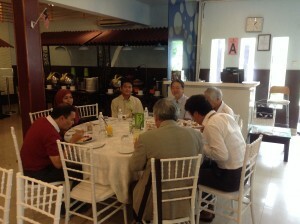 Fruitful discussion was made between PROTON R&D and TriPreM members. 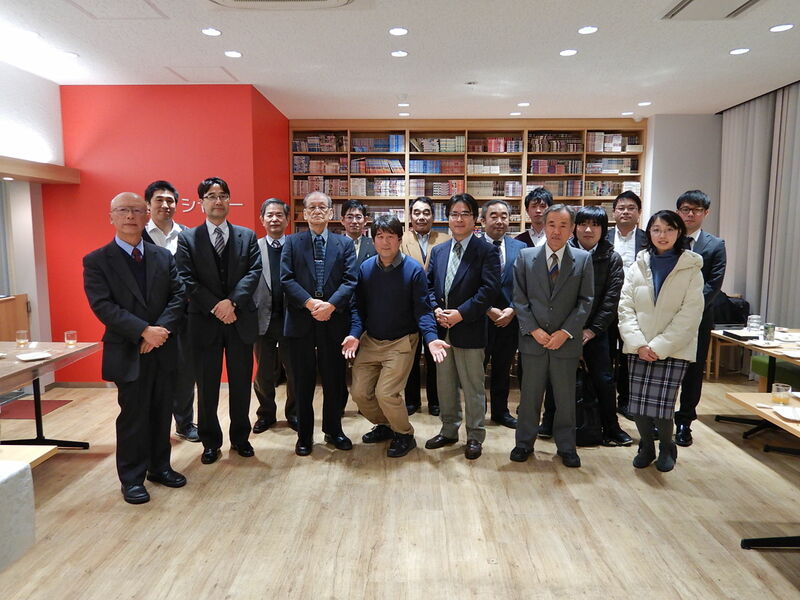 On 11th February 2015, TriPreM received guests from Chosei High School. 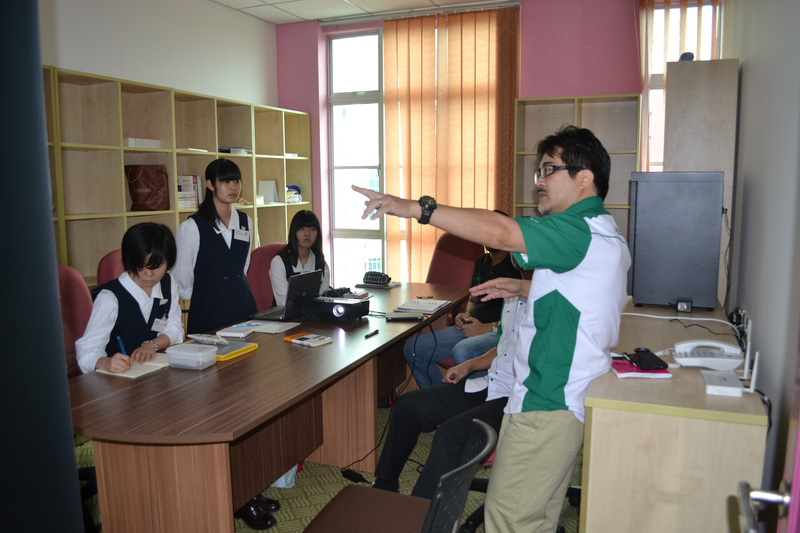 From a group of 12 students, three students were delegated into TriPreM to present their school projects. 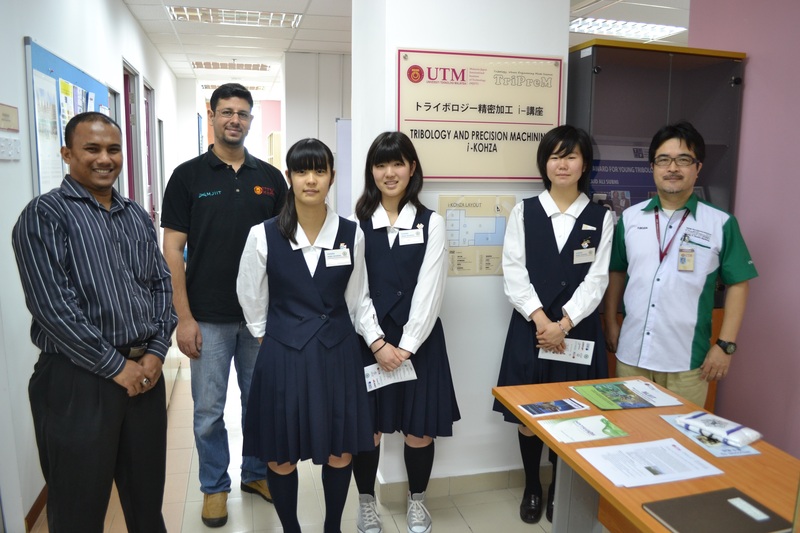 The visit to MJIIT is part of a week-long trip to Malaysia, where the students from Chosei High School visit various schools and tourism spots in Malaysia, exchanging knowledge and experience while broadening their horizons through inter-cultural exposure. 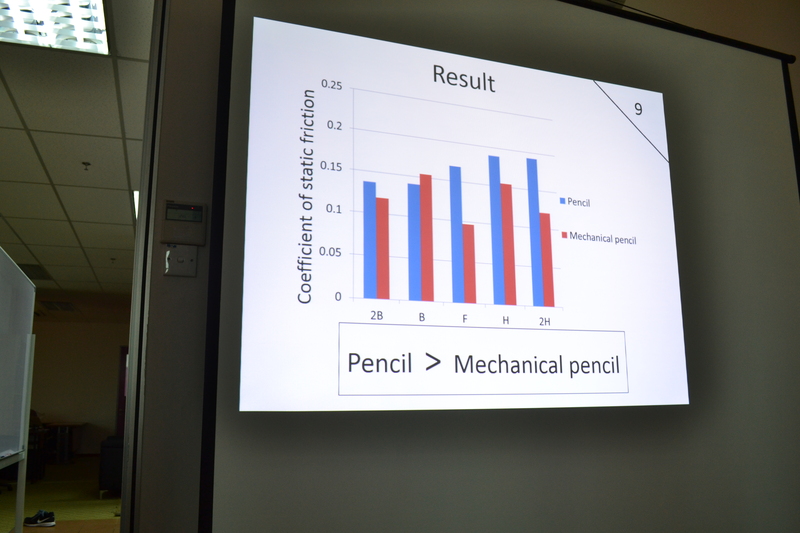 The students were very impressive in both their presentation skills, and the amount of effort that were put in their projects. TriPreM hopes that the students would continue to work hard to improve themselves even further. The website for Chosei High School may be reached here. 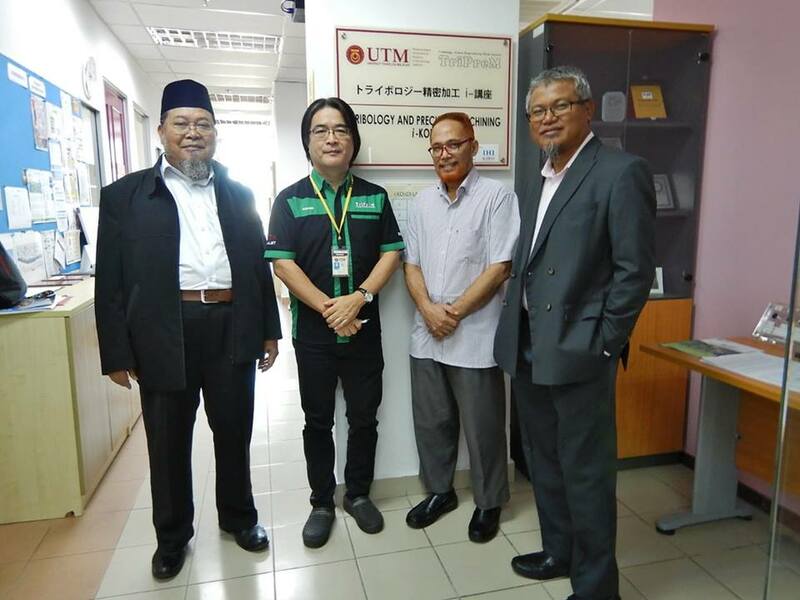 TriPreM was honoured to receive Professor Ikuo Tanabe as visiting professor to Malaysia-Japan International Institute of Technology (2nd October 2014 – 8th October 2014). 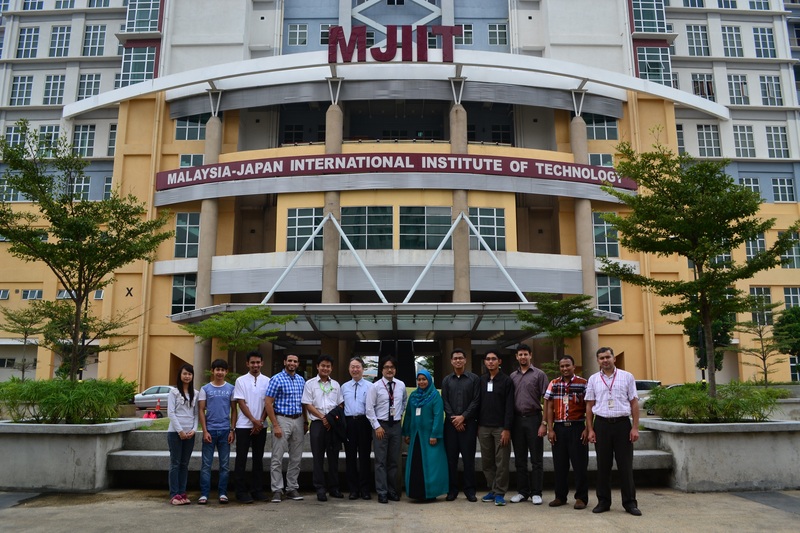 The objective of Prof Tanabe’s visit to MJIIT is to plan the establishment of collaboration between MJIIT and Nagaoka University of Technology, in the form of joint research and supervision of post-graduate student. He also reviewed the course content for the Precision Machining/Manufacturing course. Prof Tanabe attended TriPreM’s rin-koh session for 3rd October 2014, and met with the Head of MPE, Dr Aminuddin Abu. 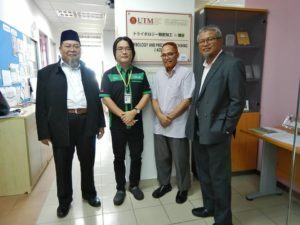 Prof Ikuo Tanabe with members of TriPreM, in front of MJIIT. 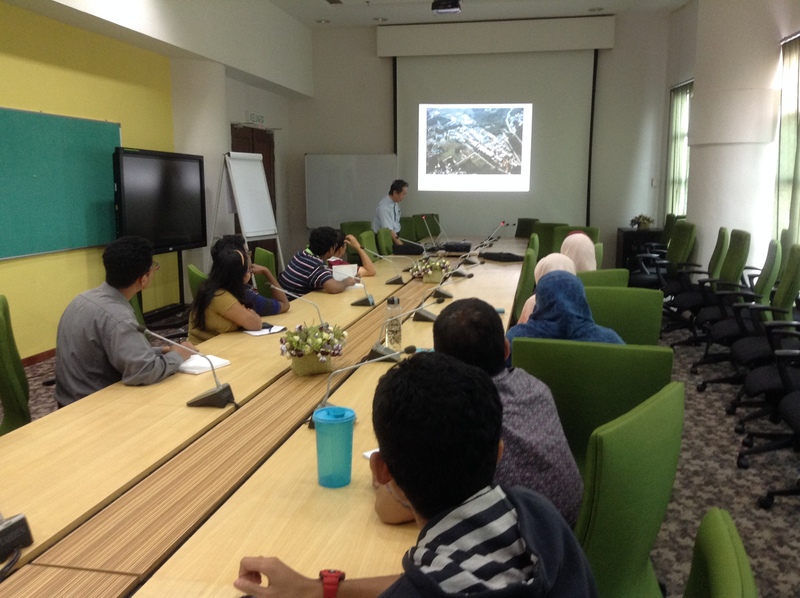 On his third day of the visit, Prof Tanabe met Deputy Dean Prof Dr Takashi Yamamoto, and gave a public lecture for post-graduate students of IDS and TriPreM (Development of Innovative Tool Using Taguchi-methods). 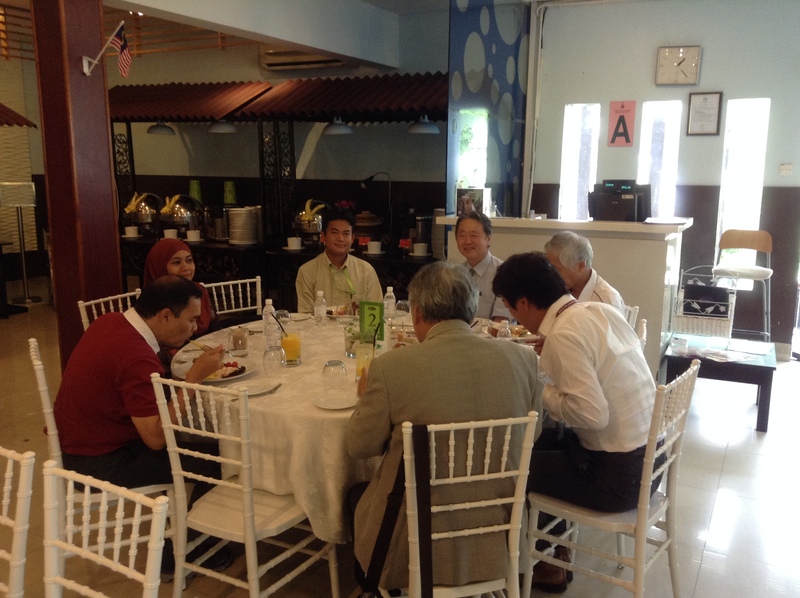 Prof Tanabe returned to Japan on 8th October 2014. All prospecting students, both undergraduate and post-graduate, are invited to attend a public lecture from a world-renowned tribologist. Details are as follows. 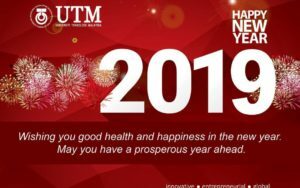 Abstract: Recently, progress in micro/nano-tribology has grown considerably due to technologies on SPMs, including AFM (atomic force microscope), FFM (friction force microscope). 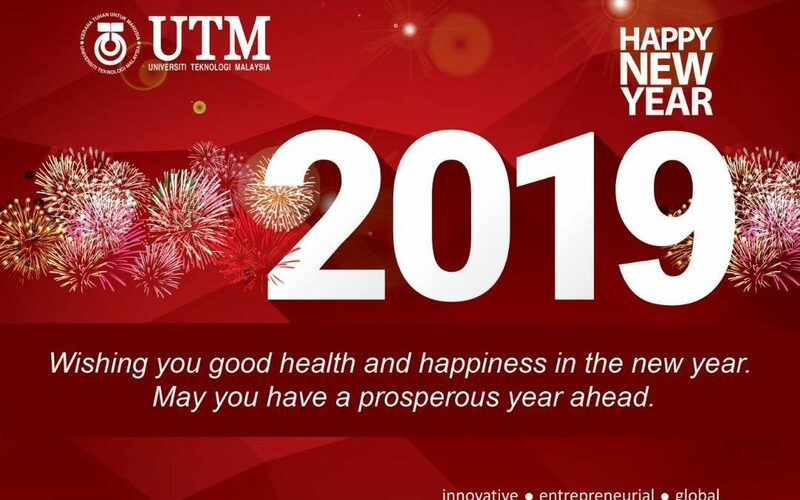 There are, however, limitations in SPM. For example, there are no alternative to a piezoelectric actuator for the scanning device, and friction force can be only detected by torsion of the cantilever. 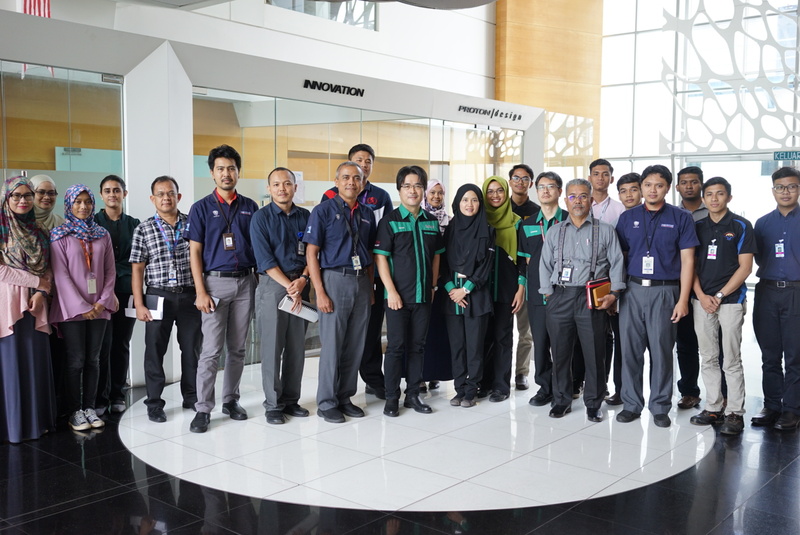 Thus, micro-fabrication technologies were applied to enhance the potential of SPM for tribology study. In this presentation, the author introduces two kinds of micro devices in order to improve SPM measurement; FIB processed micro-cantilevers, micro lateral force sensors and three-dimensional (3D) micro stages. In addition, two kinds of micro/nano patterning for studying tribological properties will be introduced; periodic asperity arrays and nano-stripes. Tetsuo Yamaguchi, Associate Professor, Ph.D, Kyushu University. 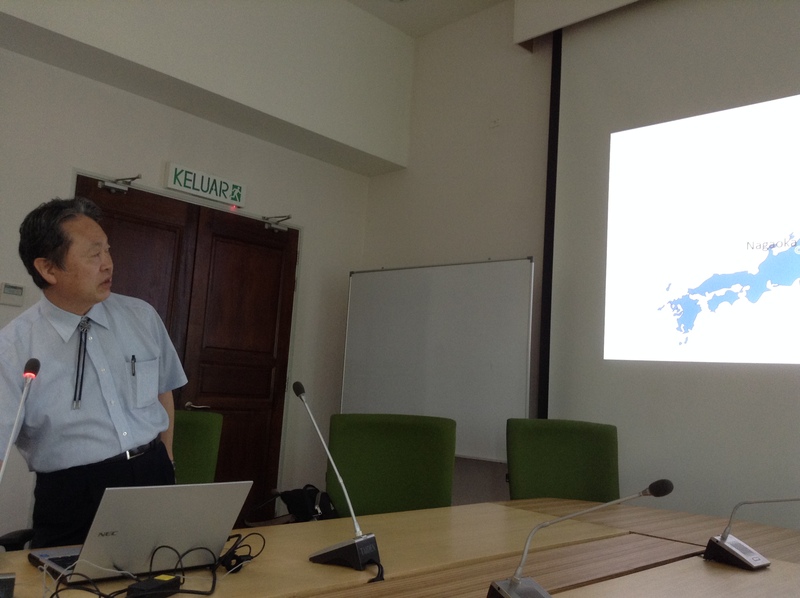 Takahiro Hatano, Associate Professor, Ph.D, The University of Tokyo. Yoshinori Sawae, Professor, Ph.D, Kyushu University. 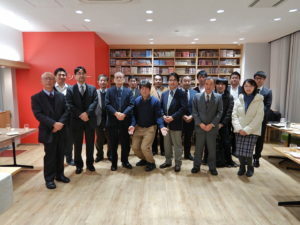 Prof. Tetsuo Yamaguchi is an associate professor at Department of Mechanical Engineering, Faculty of Engineering, Kyushu University, Fukuoka, Japan. He specializes in the fields of Tribology of Soft – Matter Physics. Prof. Takahiro Hatano is an associate professor at Earthquake Research Institute, The University of Tokyo, Tokyo, Japan. He specializes in the fields of Tribology of Geoscience. Prof. Yoshinori Sawae is a professor at Department of Mechanical Engineering, Faculty of Engineering, Kyushu University, Fukuoka, Japan. He specializes in the fields of Tribology of Bioscience. 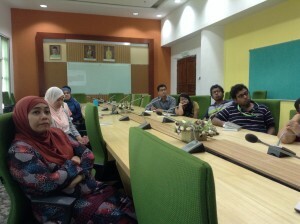 Venue: Meeting Room 2, Level 2, MJIIT Building. Morning Session 10:00 to 12:00, Presentations by the visiting professors on their research activities. Afternoon Session 14:00 to 16:00, Presentations by TriPreM members on their research activities. 2.Tetsuo Yamaguchi, Assoc. 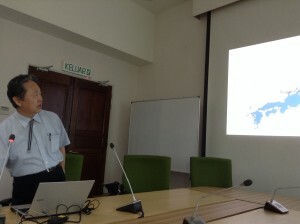 Prof., Ph.D.
3.Takahiro Hatano, Assoc. Prof., Ph.D.